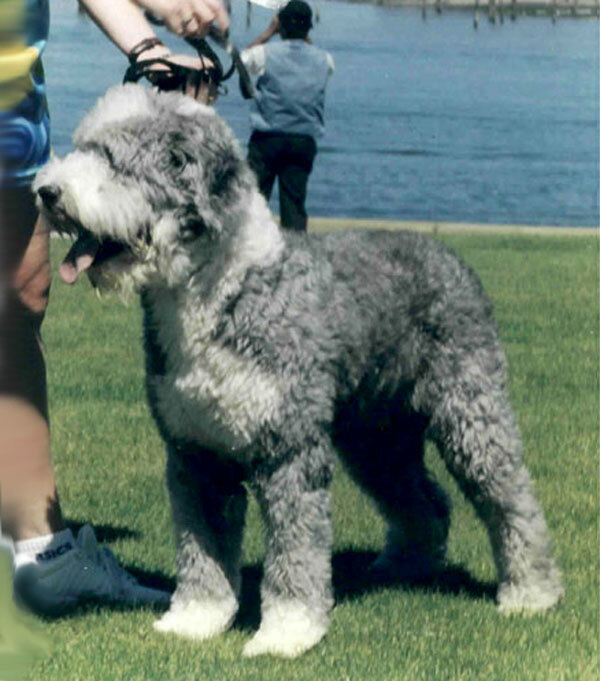 Bandit was brought to the Pacific Northwest to bring his beautiful Brightcut movement to our breeding program. He was more than we hoped for with his perfect front and rear, lovely balance and carriage, and the sweetest temperament you could ask for. His litter out of Promise provided us with a foundation for our breeding program. We have incorporated the best available pedigrees in terms of health, conformation, and temperament. 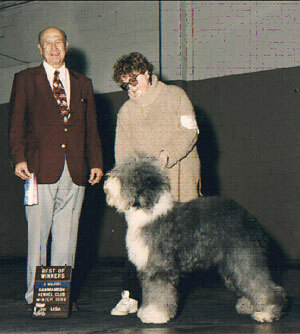 We advertised Bandit in clipped coat to show the details of his perfection. From his correct head carriage and length of leg / length of back ratio, right down to his tight feet and great pasterns, Bandit has been a huge asset for us.